Bar products are great year round. Round Eye Supply provides you with wholesale bar supplies for the home bar and commercial bar alike. We want to become your source for top quality bar products, equipment and supplies at affordable price with top notch customer service. We cater to your needs and provide fast shipping. We understand the basic concept that many other bar supply websites choose to forget – when orders are placed, these orders are expected pronto! Ocean Spray Bar Pac Bottle Bloody Mary Mixer - 32 Oz. Cherries Stemless Topping Crush 0.5 Gal. 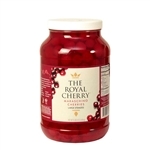 Cherries No Stem Plastic Large Cherry 1 Gal. Cherries Extra Large Stem Plastic Maraschino - 1 Gal. Libbey English Pub Beer Glass Mug - 20 Oz. 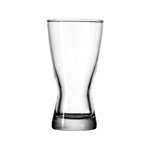 Libbey Paneled Glass Beer Mug Clear - 12 Oz. Libbey Dimple Stein Beer Glass Mug Clear -19.25 Oz. <a href="http://www.roundeyesupply.com" class="productnamecolor colors_productname">restaurant supply</a> superstore offers the best selection of restaurant supplies and <b>bar supplies</b> at low prices. We offer wholesale bargains to large restaurants and bars alike. Find a variety of <b>bar supplies</b> such as <a href="http://www.roundeyesupply.com/Liquor-Pourers-s/73.htm" class="productnamecolor colors_productname">bottle pourers</a>, mixers, shakers, and more. 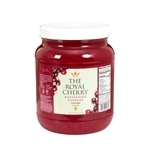 We also carry <b>bar accessories</b> such as <a href="http://www.roundeyesupply.com/Maraschino-Cherries-s/42.htm" class="productnamecolor colors_productname">maraschino cherries</a> with stem or without stem and <a href="http://www.roundeyesupply.com/Bar-Supply-Beverage-Napkins-s/41.htm" class="productnamecolor colors_productname">beverage napkins</a>. We stock everything a busy bar will need to keep their patrons happy and delighted. Thank you for shopping at Roundeyesupply.com, your one stop shop for your entire <b>bar supply</b> needs. Start shopping and saving today.